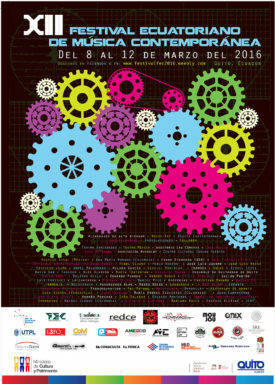 10 March XII Festival Ecuatoriano de Música Contemporáneae, event ‘Encuentro de Noise-Art’, Teatro México, Quito, 19h30. Press link. 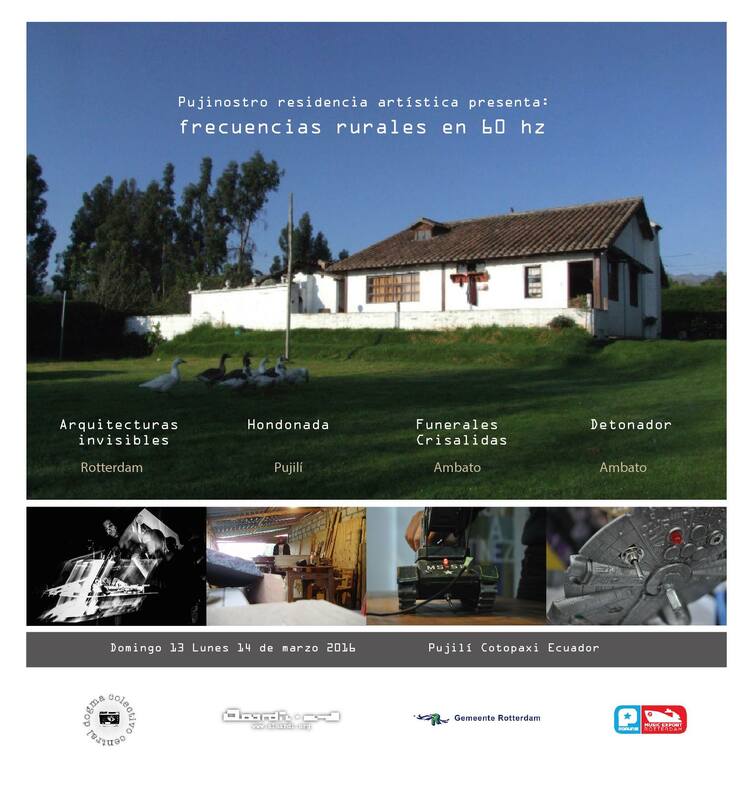 12 – 17 March Residencia Pujinostro, event ‘frecuencias rurales en 60 hz’, in collaboration with Dogma Central, Patoa Las Vacas, Pujili. Link photos residency. 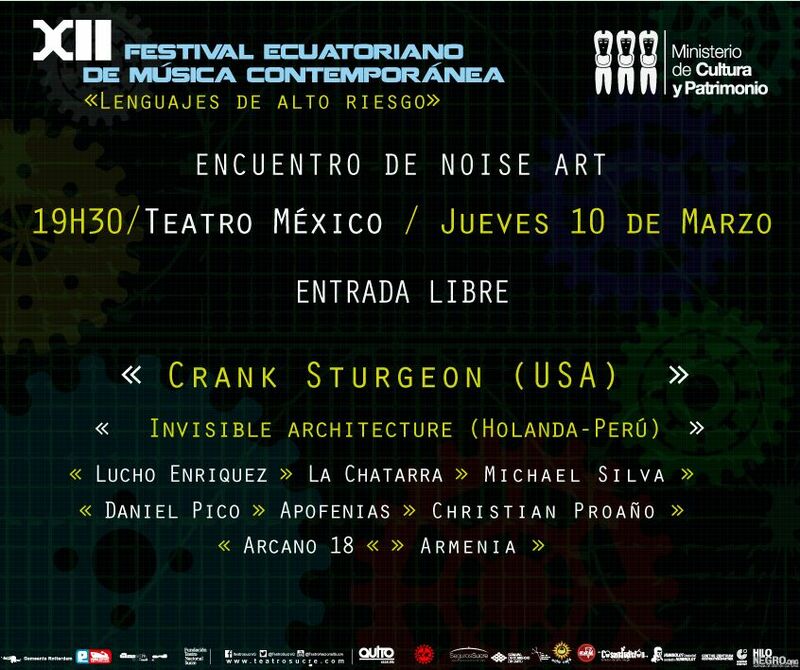 Project ‘Invisible Architecture’ (together with Chrs Galarreta) will present three concerts with voice and electromagnetic fields in Ecuador. Thanks to the support of Popunie Music Export Rotterdam, Rotterdam Municipality and Association Aloardi – Lima. Read the report (in Dutch) of our entire tour in Peru and Ecuador on the website of the Popunie (link). Also I made a special presentation (in English) on our stay in Ecuador and artist-in-residency Pujinostro (link pdf).